Description: A man enjoys an after-lunch nap in a hammock on a boardwalk along the coast of the South China Sea. The South China Sea is known as the Eastern Sea by the Vietnamese. 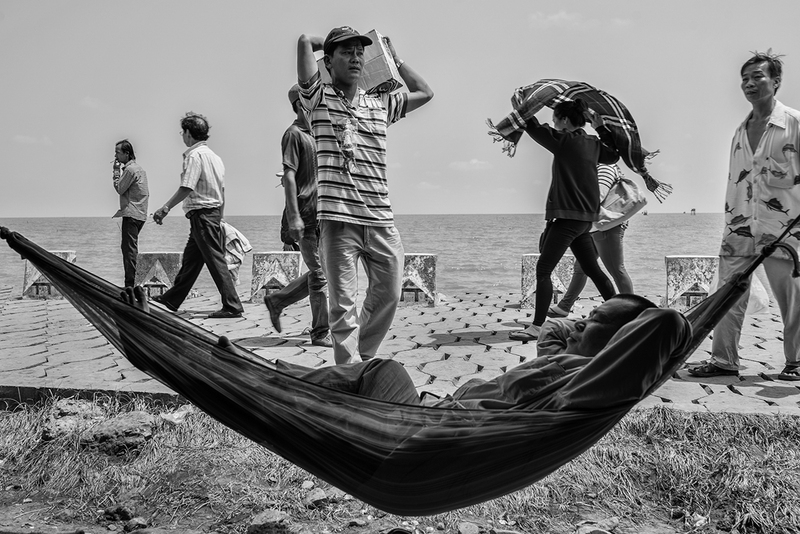 Caption: A man enjoys an after-lunch nap in a hammock on a boardwalk along the coast of the South China Sea. The South China Sea is known as the Eastern Sea by the Vietnamese.